Metro Silicon Valley is looking to create opportunities for local Bay Area photographers of all levels to showcase their photography skills. At the beginning of each month, a new "theme" will be posted in Metro newspaper. Photographers can then submit up to two photographs that they feel best represents their vision of each given theme. Each month, during the First Friday event, visitors to the exhibit will be asked to vote on which photograph best represents the current theme. The artist with the most votes will be featured in Metro newspaper and on the online news publication metroactive.com. All photographic mediums are excepted. Please view our submission guidelines prior to contacting us regarding applications for future shows. Metro is located in the SoFA arts district in downtown San Jose within the strip of the FIRST FRIDAYS art walk. 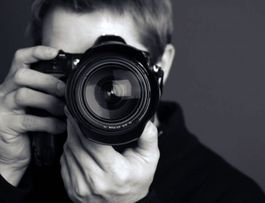 All photographers, young and old, amateur to professional, are encouraged to enter. Invite friends and family to come view your work! Remember to pick up your nearby Metro newspaper for the theme of the month. All submissions must be received prior to July 29.